Izzy Sawyer has always been the it girl. She believes she's the last person on earth who deserves a happily ever after. Holt Edwards has always been the player that women voluntarily fall to their knees for. When it comes to love, Holt doesn't believe in fairytale endings. Once Izzy dives back into the dating pool, Holt is right there, ready and willing to offer tips and tricks to get her through an entire army of blind dates--starting with a bone-melting demonstration on how to deliver mouthwatering kisses. One thing leads to whiskey and Izzy is starting to think happily ever after doesn't seem like such a bad idea. Holt is starting to rethink his stance on fairytale endings. But Izzy has a secret that has turned her world upside down. Holt has a secret of his own that cost him far more than he ever bargained for. Sometimes life doesn't give you the happily ever after. Sometimes it's best to leave fairytale endings on the bookshelf where they belong. Izzy can't stop thinking about Holt. Holt can't seem to quit his favorite new addiction--Izzy. The mercury is rising--secrets are percolating--and their lust for one another is just about to detonate. Izzy needs just one more hit of Holt and his late night Whiskey kisses, but deep down she knows that will never be enough. She wants all of him--every bone-melting kiss he has to offer. Annie Edwards was born deaf, but she’s never let that define her. She’s settling in as a freshman at Whitney Briggs University, loves her dorm, her roommate, her classes, but something feels as though it’s missing—enter Blake Daniels. He’s everything Annie is not—a rocker, a player, a college dropout. Her friends want to sleep with him, her brothers want to kill him, and all Annie wants is a chance to see where her heart takes her. As the lead singer of 12 Deadly Sins, Blake has had his fair share of rock candy. But Annie has taken over his body, his mind, his heart—three things he’s never lost control of before. Often first love and first heartbreak go hand in hand. Sometimes the thrill of one is worth risking the other. Marley Jackson has an axe to grind with the entire male population. 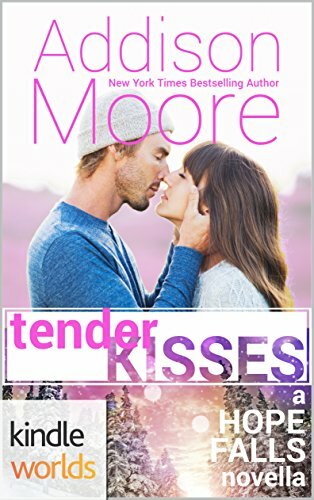 After having her heart brutally broken, she’s out to prove to herself, and the world, that a woman only needs one thing from a man—and it isn’t love. Wyatt James isn’t interested in anything that resembles a commitment. He’s self-made, secure, and happy to entertain a one-night stand any day of the week—enter Marley. Marley quickly dispels the idea that she’s anybody’s one-night stand. What Marley has in store for Wyatt is far more complex and requires a binding contract to back it. Marley and Wyatt aren’t in it for love. Marley is looking to glean some expertise in the bedroom. Wyatt is looking to find some solace after a string of nameless faces that have rocked his bed. But when feelings change, and that four-letter word takes ahold of both their hearts, they’re left to face the fact they might be in deeper than either of them thought possible. When it comes to love, Holt doesn't believe in fairytale endings. Once Izzy dives back into the dating pool, Holt is right there, ready and willing to offer tips and tricks to get her through an entire army of blind dates–starting with a bone-melting demonstration on how to deliver mouthwatering kisses. Sometimes life doesn't give you the happily ever after. Sometimes it's best to leave fairytale endings on the bookshelf where they belong. Izzy can't stop thinking about Holt. Holt can't seem to quit his favorite new addiction–Izzy. The mercury is rising–secrets are percolating–and their lust for one another is just about to detonate. Izzy needs just one more hit of Holt and his late night Whiskey kisses, but deep down she knows that will never be enough. She wants all of him–every bone-melting kiss he has to offer.